Our correspondent services platform provides a comprehensive set of transaction and risk management tools along with integrated pass-through payments, messages, statements and reporting options with the Federal Reserve Bank, contained into a single online solution. 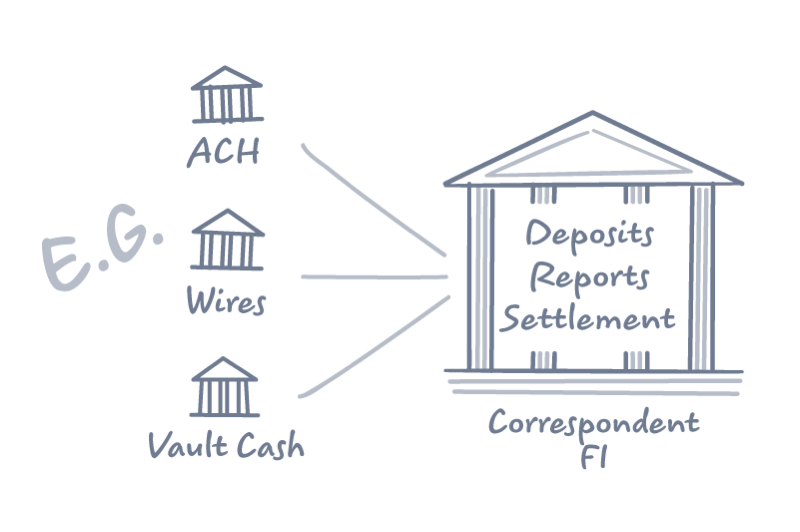 Juniper Payments provides 28 modular services, specific to correspondent banking. Juniper Payments provides full origination and receipt of ACH files. Our direct connection to the Federal Reserve, ACH Advance, offers unattended delivery and receipt of ACH files while extending origination deadlines past your normal business hours, freeing up staff previously tasked with manual download and upload procedures. Juniper provides a simplified method for originating and sending cross border ACH payments with our Federal Reserve FedGlobal interface service. This unique service provides an intuitive and compliant international ACH origination process while adding flexibility to how banks and credit unions manage foreign payment transmissions. The service includes integrated printable customer disclosures for each transaction processed. Juniper's complete wire origination and delivery service, Live Wire provides a direct messaging interface to the Federal Reserve for real-time validation and transmission of wire transfers. Available funds are automatically verified and transmission confirmations are received within seconds of the wire order being sent providing your wire department with streamlined operations and full visibility of exceptions as they occur. With our International Payments interface, you no longer need to sign on to other systems to originate cross border transactions. Juniper has interfaced with trusted, top-tier 3rd party global exchange providers to bring you a variety of exchange service options and real-time rate exchange information. Payment processes are streamlined by combining currency exchange rates, origination, and secure file transmission into one application. Once a rate is confirmed, our intuitive wizard based origination template guides you through each step of the payment process. Printable integrated customer disclosures provide compliance convenience.